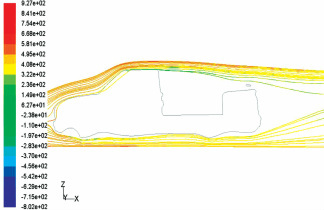 The aerodynamic shape of the Aerobox and position at the rear of the bed reduces drag (wind resistance), thus improving fuel economy! At the rear of the bed, weight is more distributed to the rear driven wheels, improving traction. No more bags or rocks or salt! Many traditional truck boxes mounted behind the cab obscure rear visibility. The AeroBox™ sits below the side rails, so your view is clear. When properly mounted, your AeroBox™ can actually improve your fuel economy! 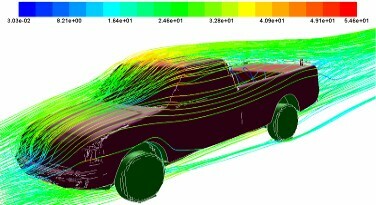 Wind tunnel simulations show drag coefficients are reduced by 4.25% compared to trucks without the AeroBox. In fact, ProPickup Magazine in a March 2012 article on aerodynamics of trucks http://www.propickupmag.com/tailgate-down-myth/ indicates that, "such a reduction in the pickup’s drag could be translated to the equivalent of a free gallon of gas for every 20-gallons burned. Put another way, the owner of a full-size pickup could save about $5 per fill-up." This article also helps clear up the myth that lowering your tailgate will reduce the wind drag on your truck. Actually, the opposite is true. “Our wind tunnel data falls in line with industry conclusions – that the tailgate down configuration is significantly higher in drag than the tailgate up (around 2-3%),” says Mark Gleason, Supervisor / Aerodynamics at the DaimlerChrysler Scientific Labs and Proving Grounds. 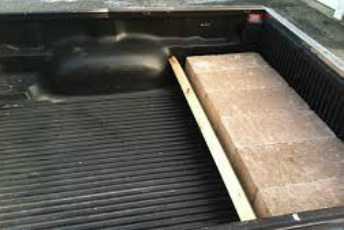 Keeping the tailgate down can actually add a little lift to the back of your truck. Not good, especially for a vehicle type that is already a little "light in the rear." Having the weight of the Aerobox and its contents over the rear axle can actually improve traction, so no more salt or sand bags in the back when winter sets in. Most tool boxes extend well above the rails, changing the look of your truck. They will not work with standard tonneau covers, rail bars, racks, etc., and can inhibit rear window visibility. Buy Now . . . Your Truck Will Love You For It!